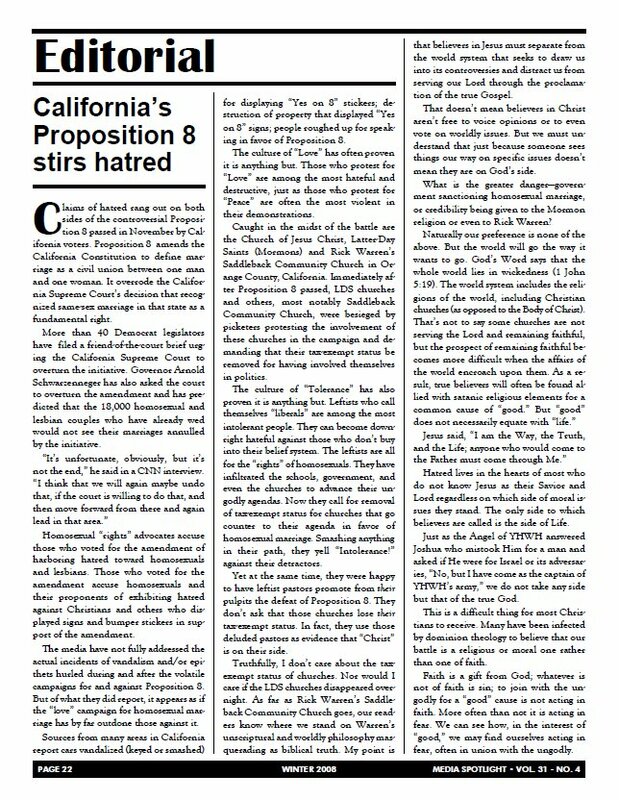 Claims of hatred rang out on both sides of the controversial Proposition 8 passed in November by California voters. Proposition 8 amends the California Constitution to define marriage as a civil union between one man and one woman. All material copyright © Media Spotlight Ministries.